Customer service is very important to us. That’s why we have three easy options for filing claims. You can file a claim on your mobile device through our MyCar Mobile app, which provides 24/7 claim service directly from your smart phone. You can download the MyCar Mobile app via your app store or at www.mycarmobile.com. 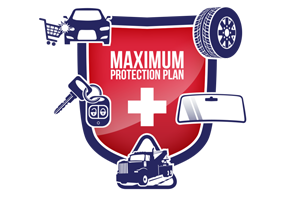 Claims can be filed online at our website, www.maximusautogroup.com/claims. Call our toll free number (800) 801-1342 to file your claim with one of our experienced, customer friendly claims reps during normal business hours. If you’ve already downloaded the MyCar Mobile app and registered your contracts, you’ll only need to provide general details about your claim—when, where, and how the damage occurred. If you’re calling our claim center or initiating a claim on our website, we will need information to identify your contract and/or your vehicle. This includes your contract number, which is located in the upper right hand corner of your contract, or the Vehicle Identification Number (VIN) from your vehicle. With our MyCar Mobile app, you’ll receive automatic updates to your mobile device when the status of your claim changes. You can also always call our claims center during normal business hours and speak to one of our friendly claims reps to get an update on the status of your claim. Please have your claim number ready when calling. If your contract includes coverage for roadside assistance, you’ll have an icon on the home screen of the MyCar Mobile app which will connect you directly to our roadside assistance provider. If you haven’t downloaded MyCar Mobile, call the roadside assistance number located in the roadside assistance section of your policy to schedule service.